Flowing through the sonic landscape of the ‘rock room’ today is an influential 1965 single by the Kinks. 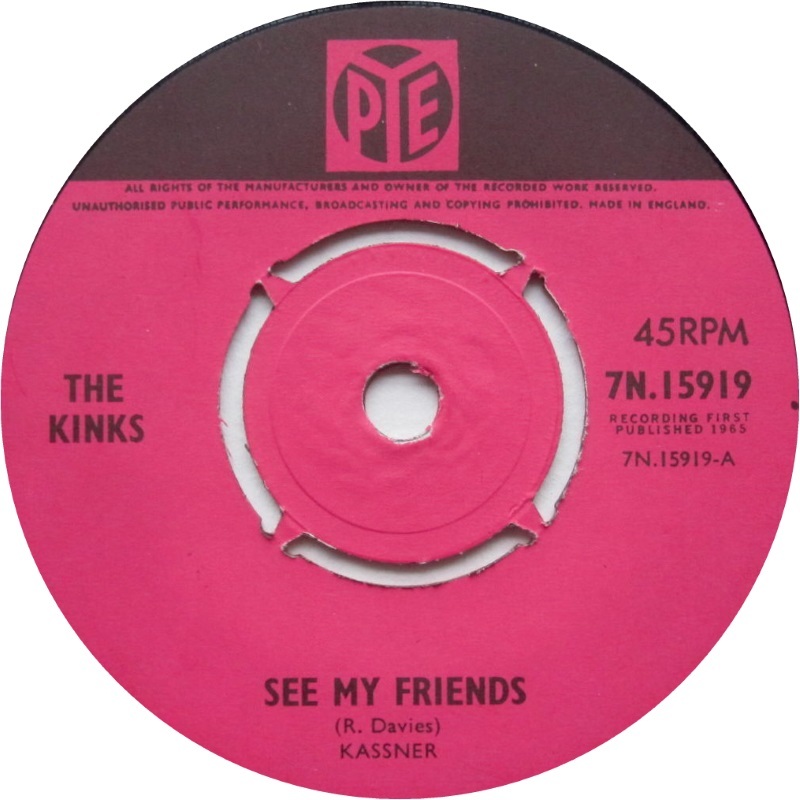 Composed by Ray Davies, the ‘A’ side track, ‘See My Friends’ ushered in a unique ethnic aesthetic, expressed via pale British psychedelia that would in turn influence their contemporaries, The Beatles, Stones and Who.Typically charming autobiographical lyrics by Ray Davies are framed by a unique and experimental instrumentation and melody. It's modicum of influences can be tracked in a myriad of directions. Released on July 30th, 1965 b/w ‘Never Met a Girl like You Before’, ‘See My Friends’ was a critical release for the Kinks documenting their incredible growth as artists and musicians. 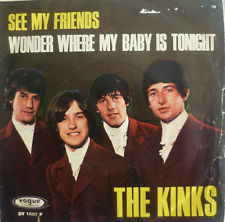 The non-album track’s (only later appearing on a re-release of Kinda Kinks) unique arrangement and lyrical content have always been a focus of discussion and deconstruction. In addition to being forward thinking the song was also popular, as it reached the Top 10 of the UK singles chart. The song’s obvious Indian vibe proceeded the ‘groovy trend’ of Eastern influence that would be continued later in the year by George Harrison’s use of a Sitar on the Beatles own ‘Norwegian Wood (This Bird Has Flown)’ and Brian Jones later use of the same instrument on 1966’s Rolling Stones single ‘Paint It Black’. Interestingly enough no 'Indian Instruments' were used on this recording though it is cited as an early example of 'Raga Rock'. It has been reported that both John Lennon and Paul McCartney were intrigued by ‘See My Friends’ and that McCartney plied it’s songwriter for clues as to its internal melodic workings. While touring Australia in early 1965 the Kinks had a stopover in Bombay where Ray Davies witnessed a group of early morning fishermen heading to the water while harmonizing their way to their work day. The obvious imagery was duly noted by the veracious songwriter, the scene soaking into his prospective songs soil. The tune ‘See My Friends’ tries to capture the heavy pre dawn verbalization of these workers and the impression their march to the water made on Davies. It has also been stated the track is a memorial to the Davies brother’s sister Rene, who passed away suddenly from a heart ailment and who's death rightfully affected the family. See the verses, ‘Now she’s gone, wish that I’d gone with her’ Regardless of either of these channels of influence the song became a confluence of emotion; stirring the loss of a relationship as well as the realization of the permanency of a physical death together with a number of flashing songwriting signposts. 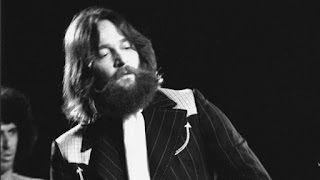 Davie’s has been quoted as saying the song references a feeling of camaraderie in addition to the thematic loss of a female love and the understanding that only your friends remain. Instrumentally the song begins with the circular ebb and flow of the two guitar central riff, eliciting both overseas musical contemporaries the Byrds and the deep musical rolling of ancient waters. The gentle dripping of Mick Avory’s cymbal bells dribbles in lending to the trippy melancholy of the song. The track feels different, its scent providing a mystical incense to the room, the droning base of the song brought to life by the down tuning the Davies guitars to ‘D’. The strings then manipulated, become dressed in the harmonic bourdon of a tambura. The picked guitar line by Ray works in simpatico with Dave’s deep water sliding string excursions that wash below the verses. The song floats in and is carried by water, the featured element in Davies influence from his first witnessing of the fisherman. It’s presence essential is washing away memories, the past and in giving life while also carrying away death. Ray Davies vocals melody steps carefully inside his guitar lines existing footsteps as they move as object and shadow through the verses. Ray warms his vocals so that they stretch exotically rising and falling, Eastern in their inflections. Dave Davies layers his high harmony timbre seamlessly over the top. The drums increase their intensity over the songs patient movement, lapping at the songs edges in conjunction with the bass. The ethereal modality of the song’s collaborative result is cinematic in its quality. The content of the words awash in regret, proof, and acceptance as the song hypnotizes my synapses in a production that still sounds revolutionary and unique. The middle eight comes as a slight shock as its pop imprint acts as a strange respite from the persistent droning current of the body of the song. Soon it relents back to the undertow of the track, submerging itself beneath the strong waves of the verses. Dave Davies begins to riff on chorused notes as the song whirlpools itself to the run out groove. This brief track illustrates a perfect example of the enduring power of the seven inch single, a giddy aural medium, a pocket novel for your ears. The Kinks, true innovators,initiate all of this aforementioned magic in the format of an under three minute pop song. Their successful experimentation was obviously heard loud and clear, as the sonic results were picked up upon and expanded on by a number of the Kinks musical associates. Epitomizing the musical plethora of magic taking place in the 1960’s, ‘See My Friends’ offers all of the most essential and exciting elements emanating from musical Britain; stellar songwriting, an eagerness to experiment, and undeniable instrumental talent.